Blackground Records, LLC was an American record label owned by former manager Barry Hankerson and his son Jomo Hankerson. In 1993, manager Barry Hankerson used his connection with his artist R. Kelly's Jive Records to distribute a newly-formed label for the release of his neice Aaliyah's debut album Age Ain't Nothing But a Number. As a company Blackground was officially incorporated in 1995 in Delaware. 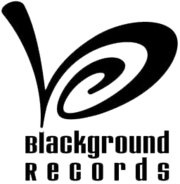 In 1996, Blackground obtained a lucrative distribution deal with Atlantic Records, just before the release of Aaliyah's second album, One In A Million. Often moving to different distributors, in 2000, Blackground switched over to Virgin Records. One year later, it moved, this time finding a home at Universal Motown Records Group. In 2001, after the death of Aaliyah her self-titled and final album Aaliyah rose to number one on the Billboard 200 becoming Blackground's first number one and best-selling album. Aaliyah sold over 32 million albums worldwide. In 2003, JoJo was signed to Blackground. JoJo released her first self-titled album JoJo in 2004, went number four on the Billboard 200 and was certified with Platinum. In 2006, she released her second album The High Road, which debuted at number three on the Billboard 200 and was certified with Gold. To date, JoJo sold over 7 million records worldwide. Her singles "Leave (Get Out)" produced by Soulshock & Karlin and "Too Little Too Late" produced by Billy Steinberg were her huge hits worldwide. In 2006 Blackground signed Hollywood Pop Academy School of Pop students Kasey Butler, Brianna Cara, Cristina Ballestero and Jamie Spradley, the later 3 as part of a girl group that changed its name multiple times, from Willow to LAX, to LAX Gurlz to Kali Girls. Their only release was the single "Forget You" as LAX/LAX Gurlz which premiered on MTV's TRL but never made any charts. In 2008 the group broke up when Brianna and Cristina went on strike, refusing to go on tour because they were not being paid enough by the label. In 2010, Blackground partnered with former Universal Motown Senior Vice President of Promotion Gary Marella to distribute his new label Roma Records. Their first signing was Jordy Towers, formerly known as Optimus and discovered by Charlie Clouser of Nine Inch Nails. He is now in the band SomeKindaWonderful. Later this year, Blackground signed a new artist Crystal Nicole better known as Cri$tyle, who began her career as a songwriter and has written songs for Mariah Carey, Rihanna, Keke Palmer and many more. In June 2011, Crystal released her first single "Pinch Me", which was produced by Jermaine Dupri and Bryan Michael Cox. The latest album release was Timbaland's Shock Value II in 2009, with single: "Morning After Dark", "Say Something", "Carry Out" and "If We Ever Meet Again". ↑ Vena, Jocelyn (2014-01-15). "JoJo's New Deal With Atlantic Records Has Fans Shouting 'Hallelujah'". MTV.com. Retrieved 2014-03-03. ↑ "Archived copy". Archived from the original on 2010-04-09. Retrieved 2010-05-01. 1 2 3 4 5 6 "Gold & Platinum Searchable Database - March 03, 2014". RIAA. Archived from the original on 2007-06-26. Retrieved 2014-03-03. ↑ "AALIYAH in pictures and photos, There are 190 pictures in this album". Pxdrive.com. Retrieved 2014-03-03.